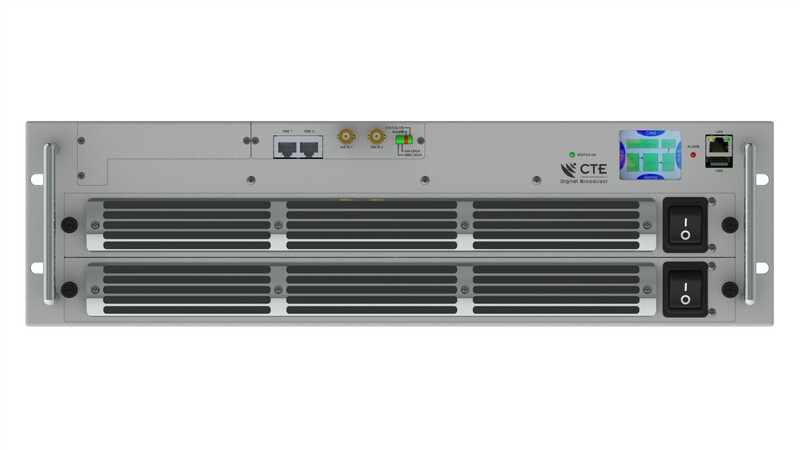 In a compact 2U or 3U Rack, and with 2 power supplies, Transmitter delivers up to 650W rms (COFDM: DVB-T/T2, ISDB-T/Tb) and up to 750 rms (ATSC) of high efficiency digital output power or up to 1200W p.s. when operating with analogue signals. 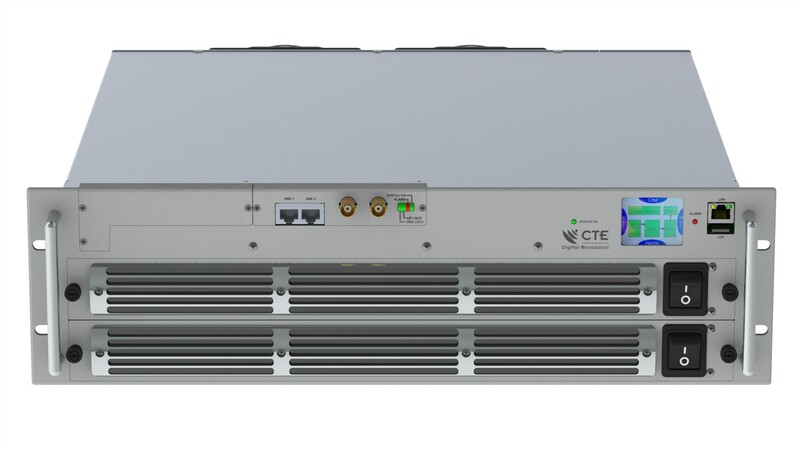 Transmitter is available in two version, 2U rack and 3U rack and it’s fully supporting DVB-T/H/T2, ISDB-T/Tb, DAB/DAB+/TDMB, ATSC, PAL or NTSC modulation with native adaptive pre-correction circuits, built in GPS/ GLONASS receiver for accurate synchronization and SFN operations, and multiple input interfaces (Satellite Receiver, ASI, Gigabit Ethernet or RF) so to be configured as Terrestrial or Satellite fed transmitter or even transposer. 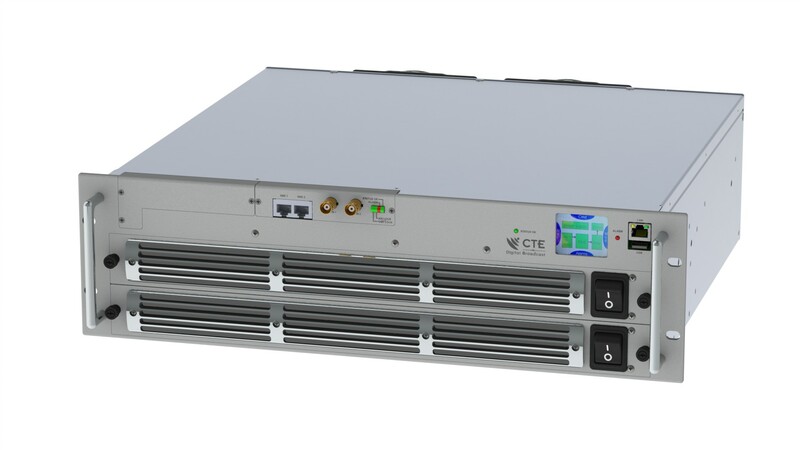 For the ISDB-Tb market, CTE DB compact transmitter is today the only solution in the market combining Satellite Receiver, Re-Multiplexer/Layer Combiner/TS to BTS (188 to 204 byte) converter and Transmitter in a single box. • Compact 2U or 3U 19”Rack chassis.